H. Norman Wright Yes, the best-selling (over 500,000 copies) book has been totally re-written with new, practical insights to enhance the communication of any couple. 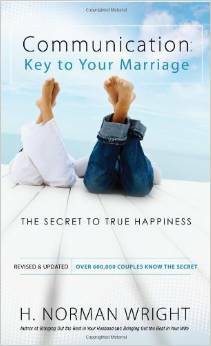 This book is applicable to an engaged couple or those married over fifty years. The content builds upon a Biblical pattern of communication and marriage. From there the central theme is learning how to speak your spouse's language. Insights gleaned from over thirty years of conducting marriage enrichment seminars and counseling couples have placed in this book to help any couple.